"Everyone in the office (and especially Dr. Duda) is always very positive and friendly--you get the feeling that they remember you, and are genuinely happy to see you every time you're there." "I have been very impressed with the way he has treated me all these years. His office is a pleasant environment and his staff is also very good." "I really like Dr. Duda. He has a great chair side manner and his treatment is effective. His whole office is very friendly and helpful. They do a really good job with the cleaning. I recently had some crowns done and everyone did a great job and I felt no pain." 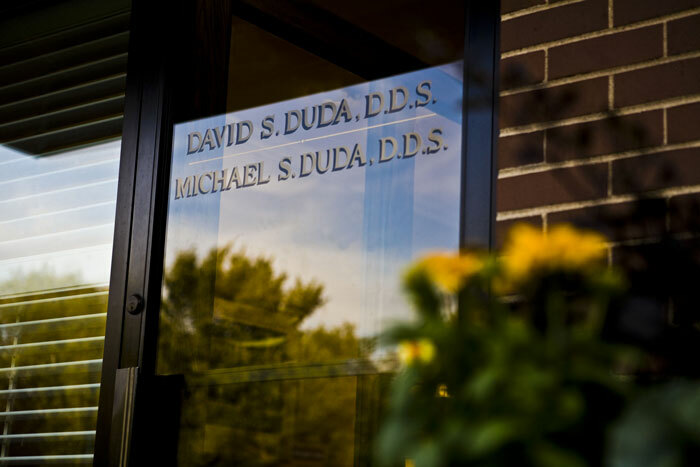 "Dr. Duda does great work. He's very personable. I've seen him for years and have seen other dentists too, but have always gone back to him. He's very trustworthy." "I'm a nervous patient (I used to dread going to the dentist) but Dr. Duda and his hygienists always know how to put me at ease. They're very attentive and communicate very well. They work quickly and try very hard to minimize any discomfort." "....the office is comfortable, the wait for appointments isn't long, and I did find Dr. Duda to be meticulous, sensitive, and caring. He gave me a referral to a great endodontist, and the crown he did on one of my teeth has held up well over the years."